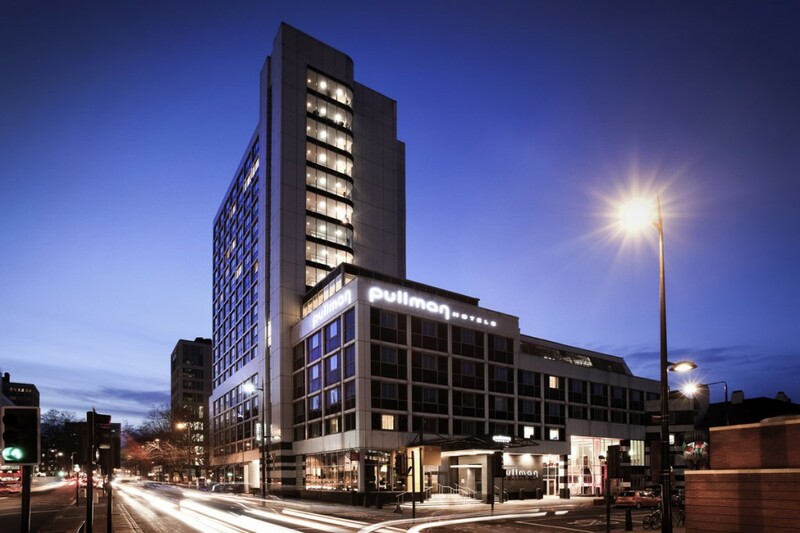 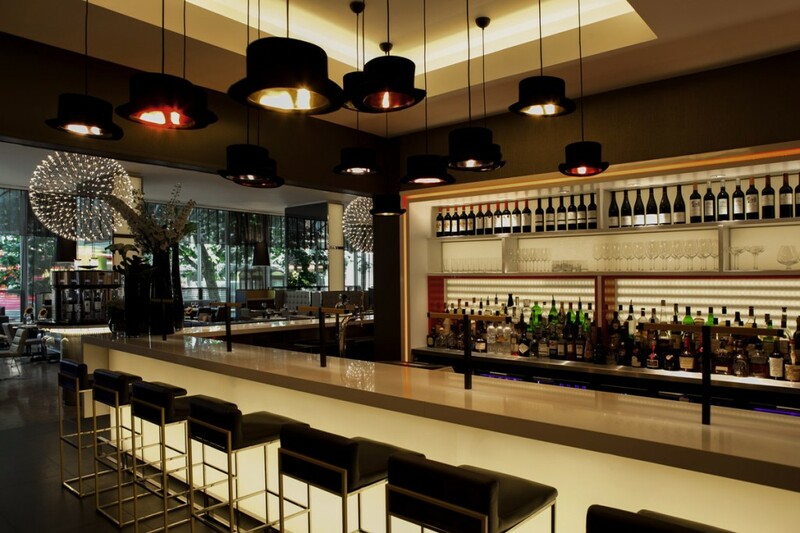 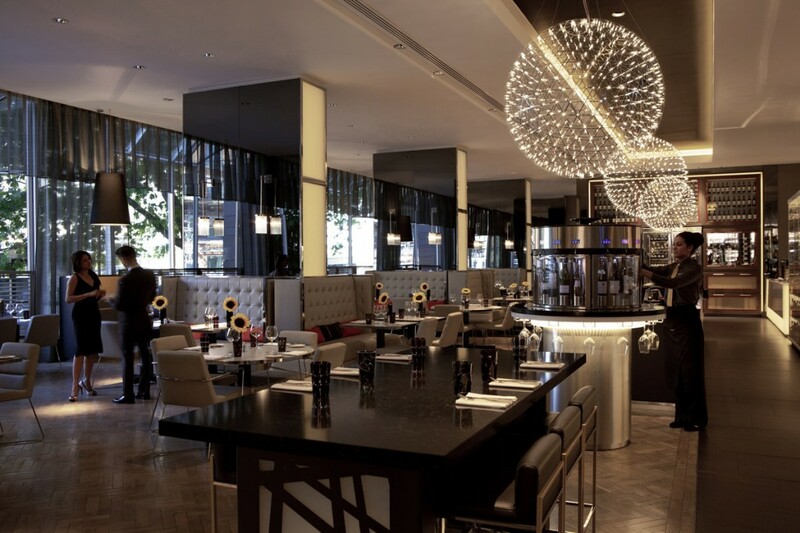 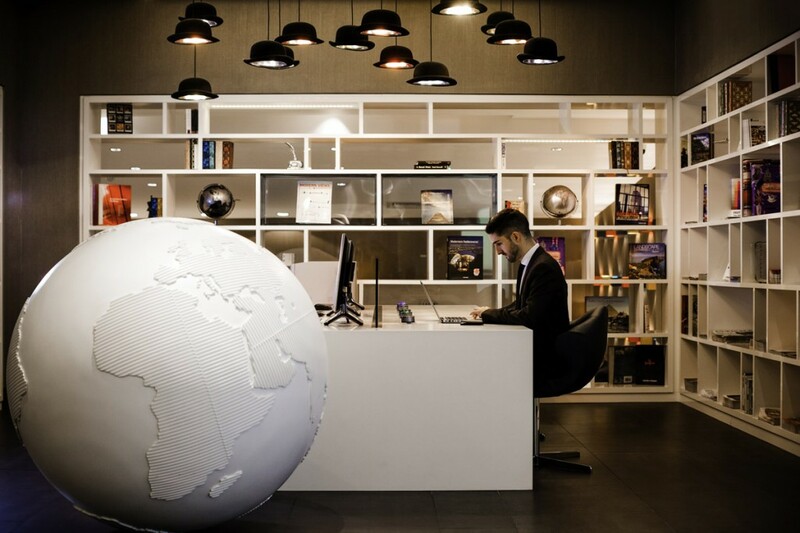 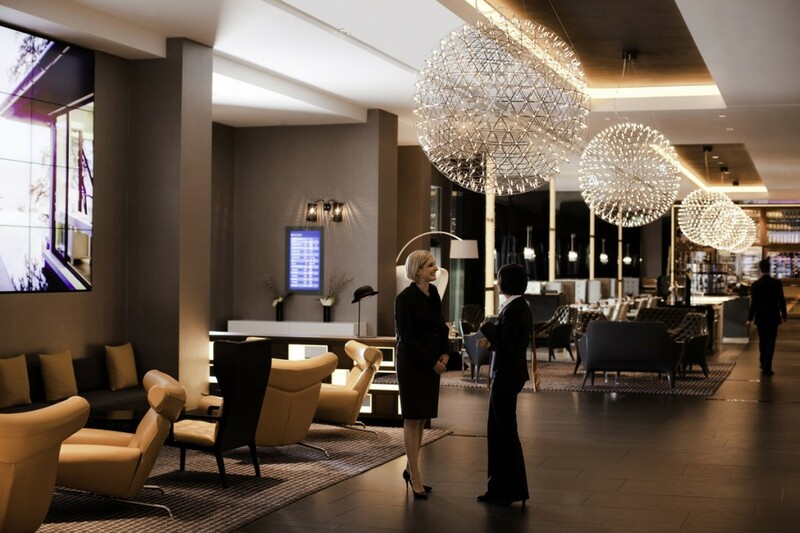 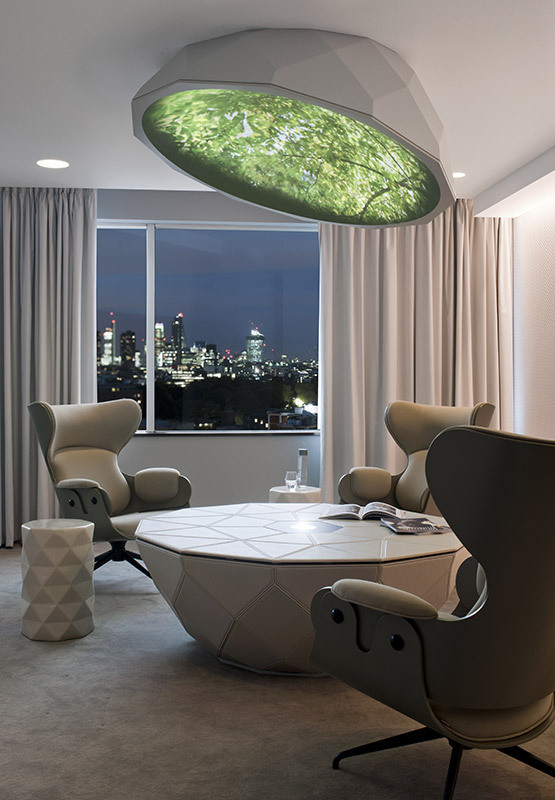 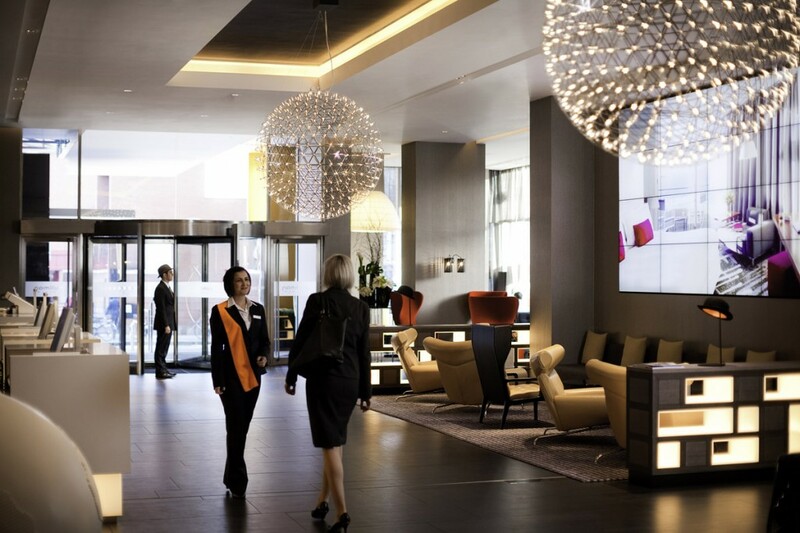 Accor hotels were keen to have a stand-out lighting scheme for the first Pullman Hotel in the UK, and to launch the arrival of the brand with impressive impact. 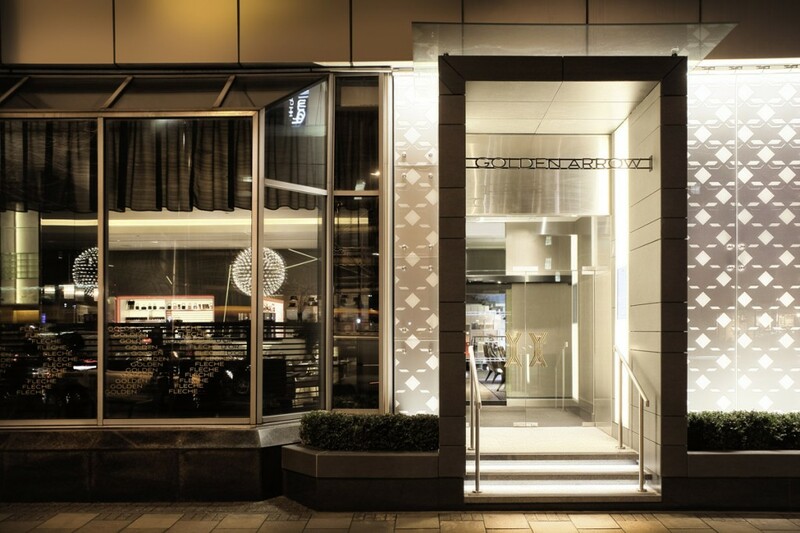 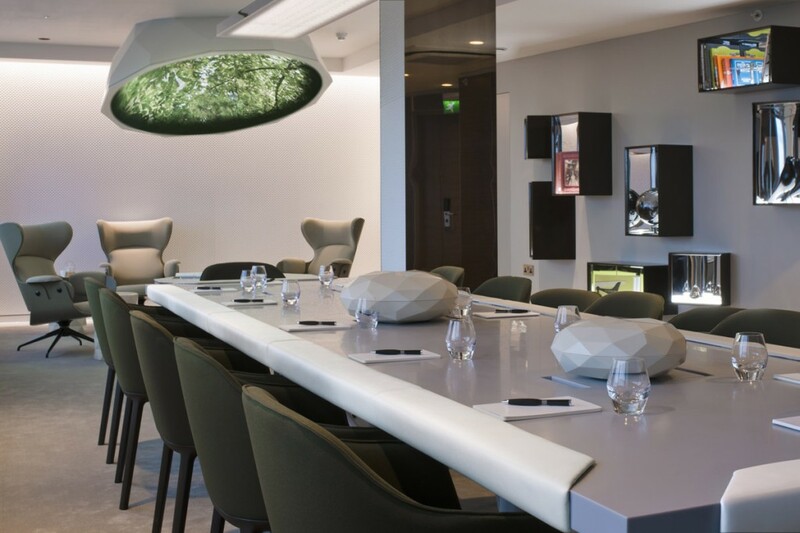 Into were tasked initially to look at the entrance reception, bar, restaurant and lounge areas and designs included quirky bespoke features and high attention to detail. 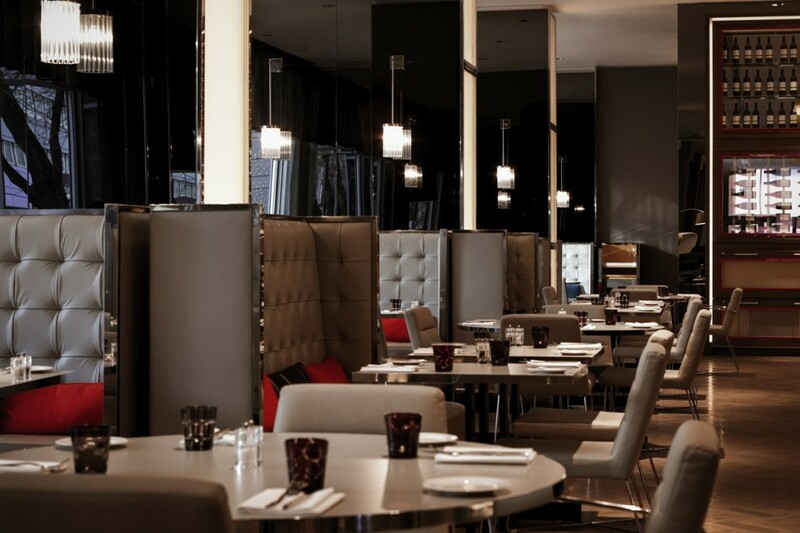 The schemes for the public areas were designed to be fully dimmable and zoned for maximum flexibility from breakfast through to evening dining. 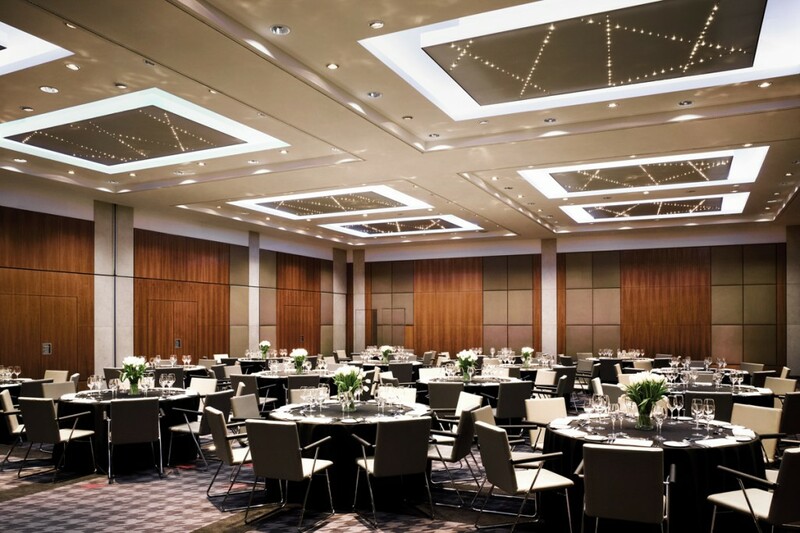 LED downlights were used for efficiency and maintenance due to high ceiling heights. 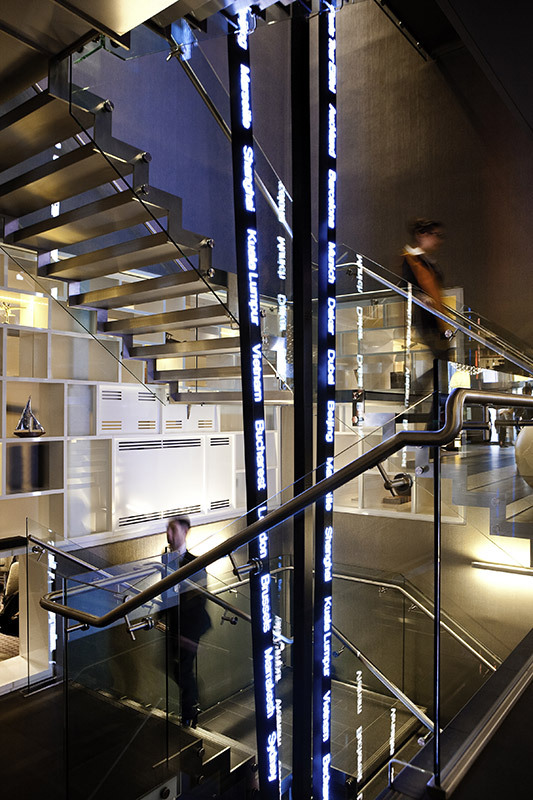 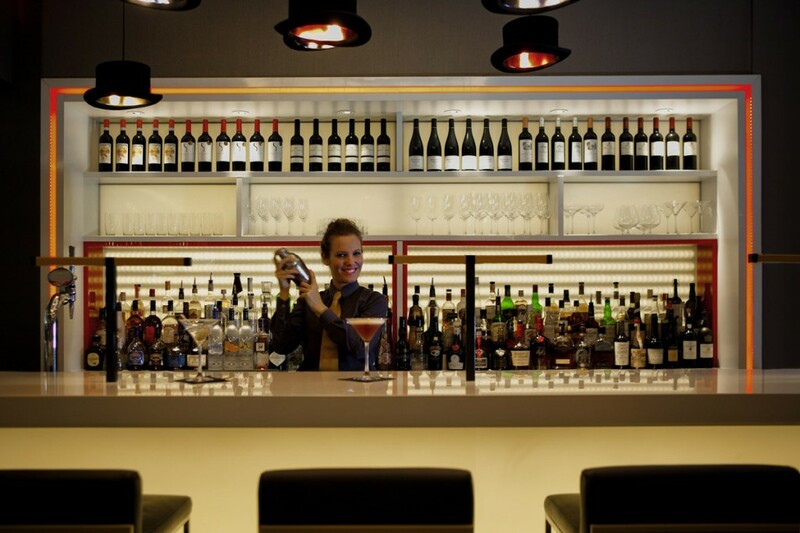 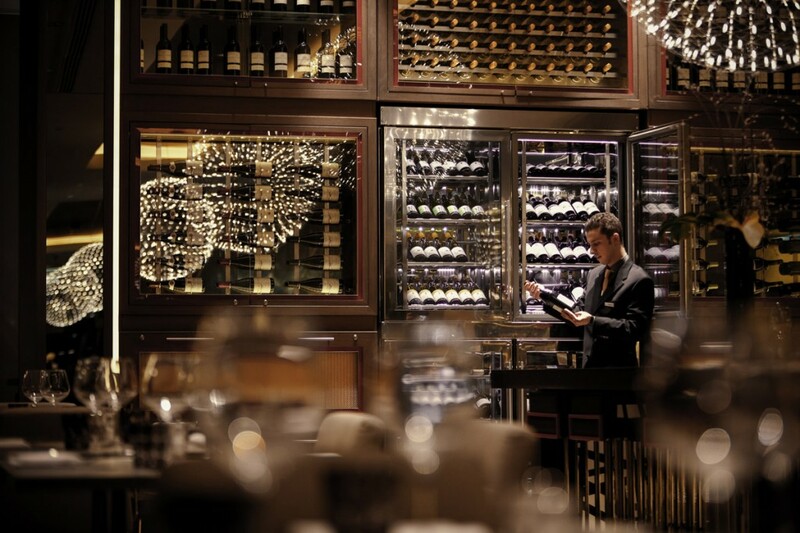 Heavy reliance on LED light boxes and integral lighting within bars, tables and reception desks created a layering of light. 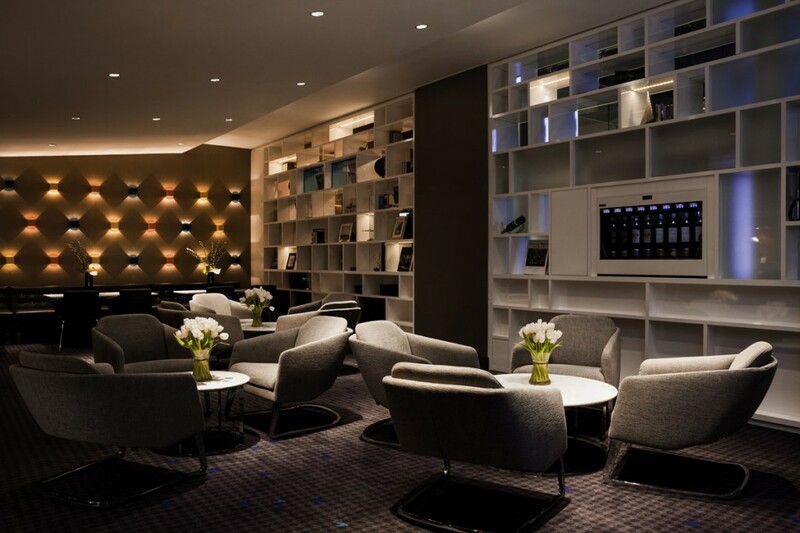 The client was very happy with the atmosphere achieved through meticulous programming of the lighting scene settings. 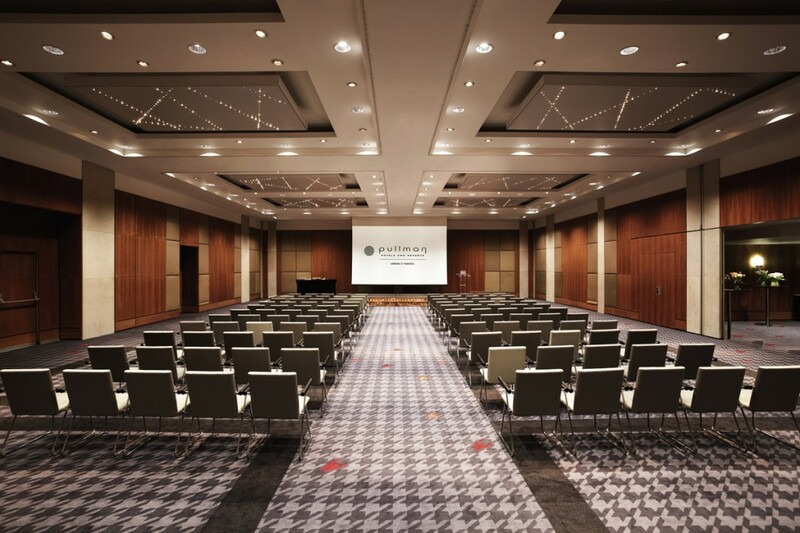 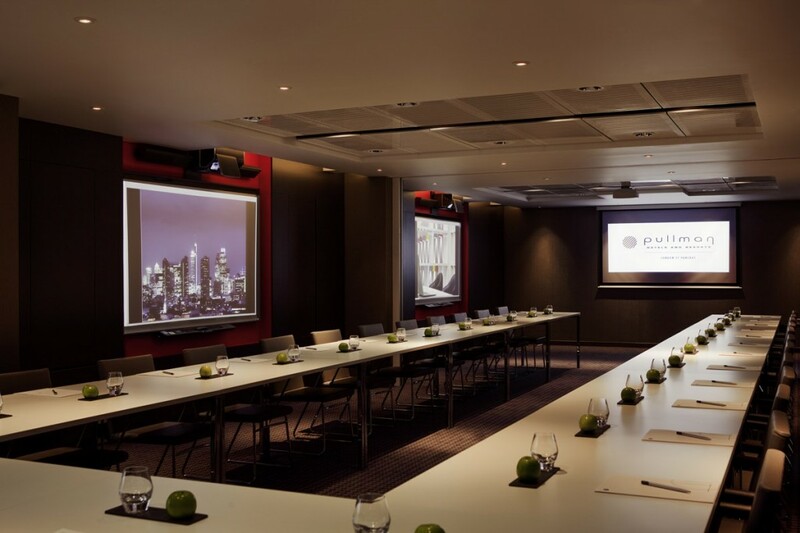 Into went on to design the external lighting, conference suites, ballroom, gym and executive meeting rooms through the extended development of the hotel.